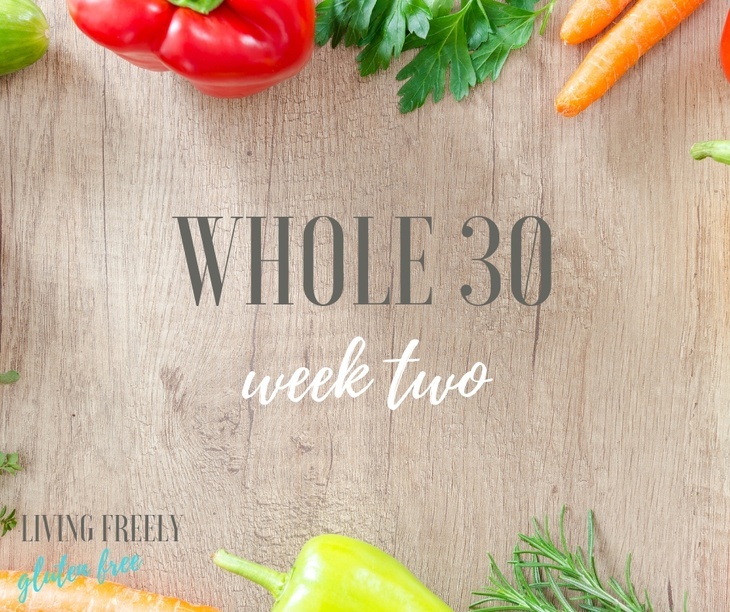 It is week Two of my January 2019 Whole 30 Challenge. Week One was tough and I did not enjoy it. Let’s be real here. I kept asking myself, “why are you doing this if it takes away the things that make you happy”. But during Week 2 there was a shift and it was a total mental shift. That shift made me realize that I need to find happiness within me and not from food. I started to realize what my body wants and needs. 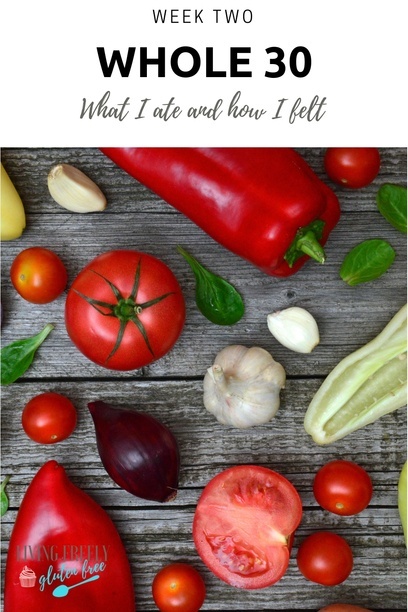 My depression lifted and when my focus no longer was on food I began to focus on other things. At the end of Week 2 I had more energy and began to do yoga again. This is a big deal because yoga is something I NEED and I lost it with the hustle of life. I have realized that I will need to cut rice and sugar out of my diet almost completely. It does not serve me. I will allow myself to have cake for birthdays and I will make my awesome cake recipes for those occasions only. Other than that I am going to start to focus on a lot of paleo recipes. Week 2 started off rocky, but I finished it feeling amazing. I am really excited to see what the next 2 weeks will bring. If you want to read about Week One click HERE. Today I woke up feeling a lot better and I had more energy then before. This is likely because my cold was finally lifting and it felt so good to be back to normal again. Dinner: Red Robin- I got the Wedgie Burger with a side salad and I brought my own ranch dressing to use. When we got home I made myself some homemade Sweet Potato Fries because watching my family eat French fries is sooo hard! Today I was frustrated with food. I didn’t want to cook, nothing sounded good and my fridge is getting low on ingredients. The majority of my monthly grocery budget is already spent, so I felt frustrated today. Today I was a little down. First off, I need to go grocery shopping which I don’t want to because I have very little of my grocery budget left. I can tell a huge difference as far as inflammation in my body. I think this is the first change I am noticing since doing the whole 30. I can see a difference in my face and also my arms, hands, legs and feet. My feet are fitting better in shoes that were tight on me (I have wide feet) and I even tried a pair of shoes on that where not wide width and they fit at the store. Today I went to an event in Napa with my best friend and I was a little pissy because I was going to Napa and not drinking wine. Who does that? I was totally ready to cheat and have wine but my best friend was not having it. She owes me a girls trip to Napa. Dinner- Homemade Whole 30 Fish and Chips. For this recipe I used my Fried Fish recipe but coated the fish is arrowroot starch. By the time dinner came around I was absolutely starving. I made French fries to go with the fried fish. they are as simple as slicing the potatoes into fries and putting the sliced potatoes in a bowl of ice cold water. I then let them soak in the water in the fridge for about 45 minutes. I fried them in coconut oil and lightly salted them. Let me tell you- this was the best thing I ate so far on the Whole 30. They were sooooo good. My family went crazy for them and my 7 year old told me they were better than red robin fries- score! Since I was so hungry and I’m a fry fanatic- I went a little crazy and over indulged in the fries. In my normal diet I could eat all of those fries with no issue. However, now being so clean I think all of the starch was too much. I also didn’t serve a vegetable. I ended up with really bad stomach cramps and an upset stomach. Lesson learned. I will take it easy on the fries next time. Today I woke up and felt great. I had energy and felt uplifted. I did yoga in the morning and then cleaned the house. After cleaning we went on a family walk and enjoyed the nice weather. I also noticed a difference in my skin, it looks clearer and brighter. I feel like I am really tuning into my body at this point. I always felt like I was in tune, but I feel even more in tune. This Whole 30 has made me really want to live my life with intention and stop doing things that do not serve my body, or my happiness. Removing sugar and grains has made me realize what my body needs and how important it is to care for myself, not just with food, but with exercise and meditation as well. Lunch- Tuna mixed with left over tarter sauce on top of greens with celery, onions, and green onions. Today was busy, but I felt good despite my son keeping me up in the middle of the night. I was going to make soup for dinner, but I ran out of time.